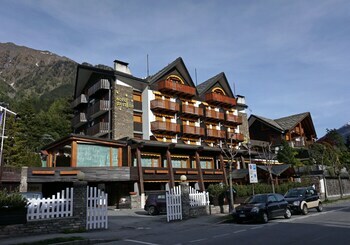 With a stay at Hotel Pavillon, you'll be centrally located in Courmayeur, within a 10-minute drive of Skyway Monte Bianco and Courmayeur Cable Car. Featured amenities include a 24-hour front desk, multilingual staff, and a safe deposit box at the front desk. Planning an event in Courmayeur? This hotel has 22 square feet (0 square meters) of space consisting of conference space and meeting rooms. When you stay at Family Village Otranto in Otranto, you'll be near the beach and convenient to Alimini Beach and Torre Sant'Andrea. Free self parking is available onsite.